The Medical College Admission Test (MCAT) is an exam that all pre-medical students will need to take in order to attend medical school. Students know that they have to put in a lot of time and effort to do well on the exam but finding the motivation to do so can often be challenging. Here, we will discuss some tips on how to make yourself study for the MCAT. As a pre-medical student, you typically have to take all of the classes tested on the MCAT. When you study for these classes, you are also studying for the MCAT. As premeds, you want as high of a GPA as possible so you have twice the incentive to excel in your courses. 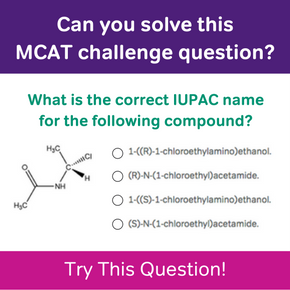 By doing well in your college courses, your MCAT studies will be easier as it will involve more review of concepts as opposed to learning material that you did not understand before. In a previous post, we discussed whether or not students should take an MCAT class. One of the key questions to ask yourself is how motivated of a person are you. Are you the type of person who can make yourself sit down and study for hours or are you the type that tries to study but ends up surfing the web instead? If you’re the latter, it may be a good idea for you to take a test preparation course. While these classes are not cheap, they provide a structured MCAT study schedule for you. You attend in-person classes with an instructor that teaches you what you need to know so it becomes more similar to college. In addition, your class will be filled with other pre-medical students all going through the same MCAT struggles as yourself. The camaraderie can be motivating and help maintain your sanity! Pre-medical students are always running around on a regular basis. At the bare minimum, you have to get to and from your college to attend your classes. Chances are that you have many additional places to go for work, extracurricular activities, or errands. Some of these locations may be fairly spread apart so you may find yourself spending 10-15 minutes if not more just getting from one location to another. A very effective way to use this time is to study for the MCAT by listening! 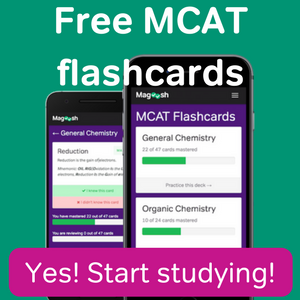 Magoosh’s MCAT prep offers online videos that you can access at any time. All you have to do is select the topic you want to review, put on your earphones, and listen while you’re going wherever it is that you need to be. Hopefully, you now have a better idea of how to make yourself study for the MCAT. While the MCAT is tough, remember that it’s an obstacle that all pre-medical students will have to encounter at some point. 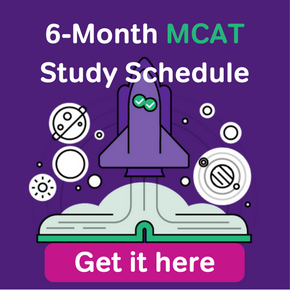 If you are looking for additional advice on how to prepare for the MCAT, check out our previous posts on memorization techniques for the MCAT and the top five strategies for MCAT success!